Man, did we ever hit the jackpot during auditions for this show! We’re confident you will be blown away by all of the talent coming at you from the stage of Little Women–the Broadway Musical. And that goes double for our amazing March sisters! 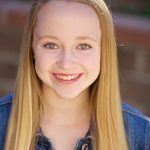 Take a look below and get to know these very talented young actors! Laurel is so excited to be making her Landmark Theatre Company debut! She is currently a sophomore at Cal State University, Fullerton, earning her B.F.A in Musical Theatre. 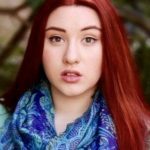 Past roles include Belle in Beauty and the Beast, Ensemble in FJC’s Spring Awakening, and Gypsy in SDR’s Hunchback of Notre Dame. 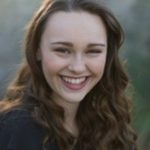 Her most notable credit was in 2017 where she made her Broadway Debut in the Jimmy Awards, live at the Minskoff theatre! Laurel would like to thank the entire cast and crew of this truly wonderful show! She dedicates this show to her loving parents, and all of the amazing teachers that have gotten her to this point in her acting career. It’s going to be an “Astonishing” experience! Mackenzie is absolutely enthralled to finally be in Little Women the Musical. Besides playing the eldest March sister, Mackenzie’s recent credits include the First Soprano in Scarlet Letter the Musical (Greenway Court Theatre), Andrina in The Little Mermaid (Sound Stage LIVE ft. Todrick Hall), Cosette in Les Miserables (Warner Grand Theatre), and Princess Fiona in Shrek the Musical (Redondo Beach Performing Arts Center). Mackenzie would like to thank the entire cast and crew for their hard work, her family for always supporting her, and Andrew for always being by her side. Enjoy the show! Natalie is a senior at Millikan High School where she sings in the Chamber Choir and Vocal Ensemble, and dances on the Advanced Dance Team. Her favorite previous roles include Hope Harcourt in Anything Goes, Amber in Hairspray, and Ethel Peas in Thoroughly Modern Millie. Natalie is very excited for her first performance with Landmark Theatre Company and hopes you enjoy the show! Sara has been studying music professionally for eleven years. She has been performing since she was nine, and was ecstatic to graduate recently from the Classical Music Program at Irvine Valley College. She is moving to Long Beach with plans to pursue a degree in Jazz Vocals at CSU, Long Beach. 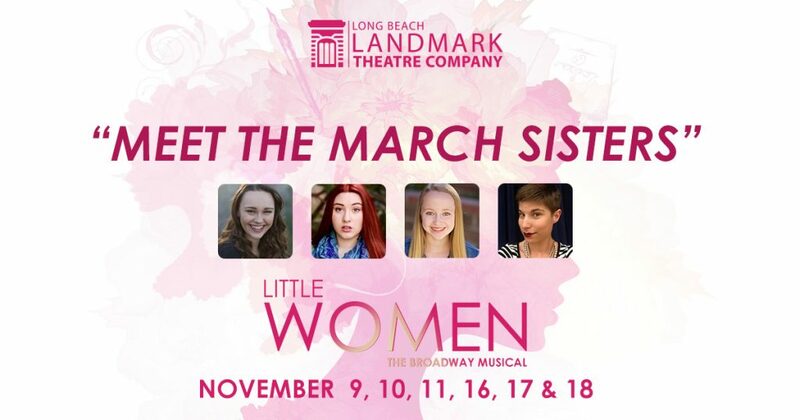 This is her first production with Long Beach Landmark Theatre. 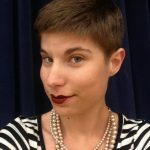 She is adoring every moment of bringing this production of Little Women to life, and is beyond proud to be a new member of the Landmark Theatre Family! COME AND SPEND AN UNFORGETTABLE EVENING WITH JO, MEG, BETH AND AMY! GET YOUR TICKETS FOR LITTLE WOMEN–THE MUSICAL TODAY!